It is the network within which lie the stories of universes and the creatures, robots, mechanical and organic which inhabit them. Our universe is just one of the many universes whose stories are contained in RP. We are a collaborative group of artists who use our varied talents to tell these unfolding stories in many formats and in many different ways. Are we robots? 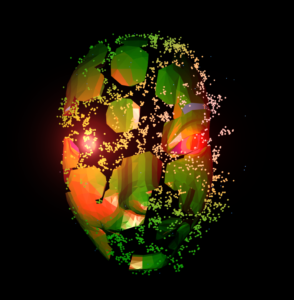 Robot Prayers is a trans-media project which explores AI and our hybrid identities in a world where man and machine are melding. It is a techno conscious sci fi fantasy filled with ever evolving virtual and real characters seeking the truth of who they are. 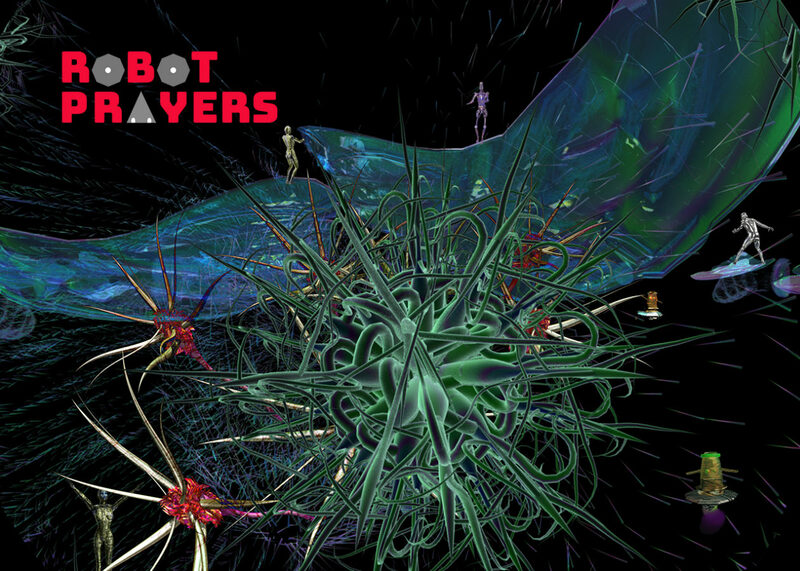 Robot Prayers brings together a group of Los Angeles artists: writers, composers, 3D and VFX animators, musicians, dancers, costume designers, interactive designers and creative technologists. RP embraces being both entertainment and an experimental art project. Cutting edge immersive, mixed reality technologies are used to best reflect the theme. RP as a continuing meditation on a theme also gives us the chance to explore the ethical considerations of AI as well as new energy sources to help with the changing climate. The next Robot Prayers performances in the coming year will be held in 3 different locations, the Vortex Immersion dome, Cutmod Studios, and the Besant Lodge. The audience members are invited to participate in Robot Balls afterwards.